Hi loves! 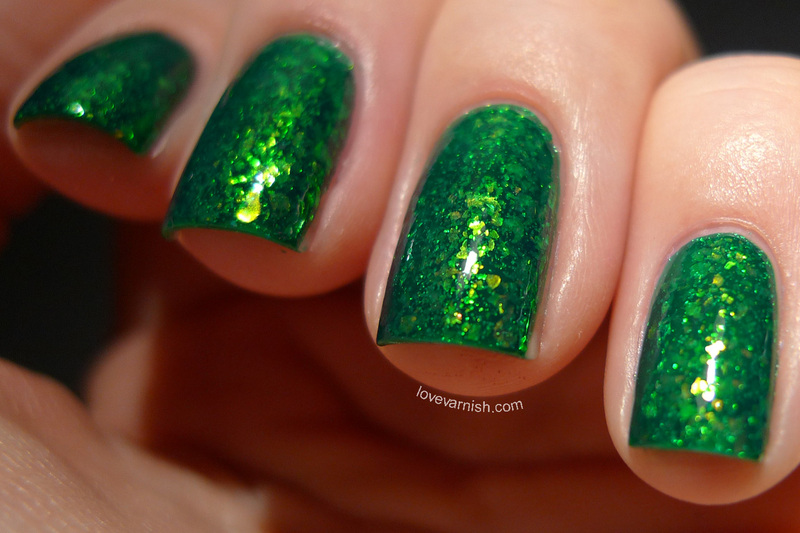 Normally I'd post my Dance Legend swatches on Friday, but I didn't have enough time to edit these pictures on time. Also, there are 2 more Candy Flakes to show you but it would get SO picture heavy I decided to split them up :-). I'm planning to show the other 2 tomorrow! Dance Legend Candy Flakes are colored jelly bases filled with flakie goodness. There are a total of 6 shades in this collection and today I am showing you Final Fantasy and Tinsel. I choose to layer them because of the sheer base, so keep that in mind when you are interested in getting these! Dance Legend Final Fantasy is a stunning deep purple shade, filled with a red sparkle and flakies that are green and blue. You can see a swatch of this by itself over here. 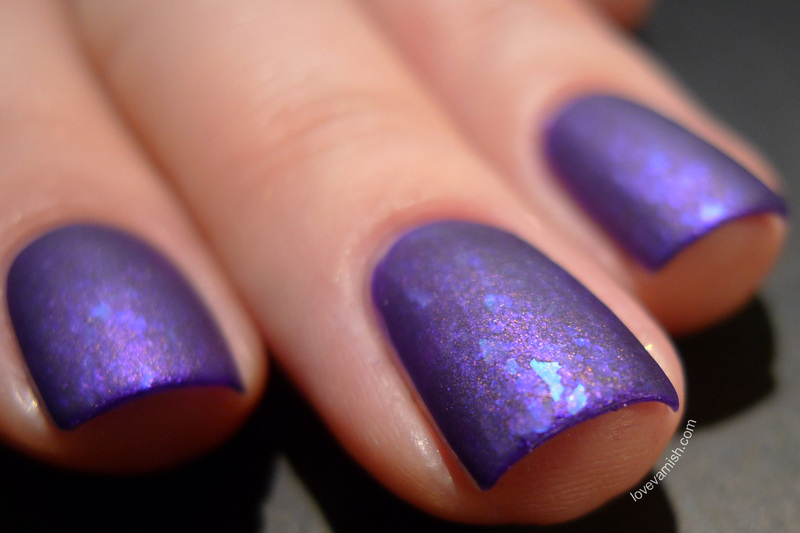 I layered this over Catrice Forget-Me-Not, a sparkly purple foil (1 coat used). This is 2 coats of Final Fantasy. Application was easy, the flakies don't clump, stick out or misbehave, and the jelly base is even and thin without being runny. It dries quickly too so I could layer the second coat quickly. I used topcoat and after the first set of pictures a matte topcoat. Dance Legend Tinsel is a green base that has some blue to it, mainly because of the flakies that can look mermaidy green/blue and gold. You can see a swatch of this by itself over here. 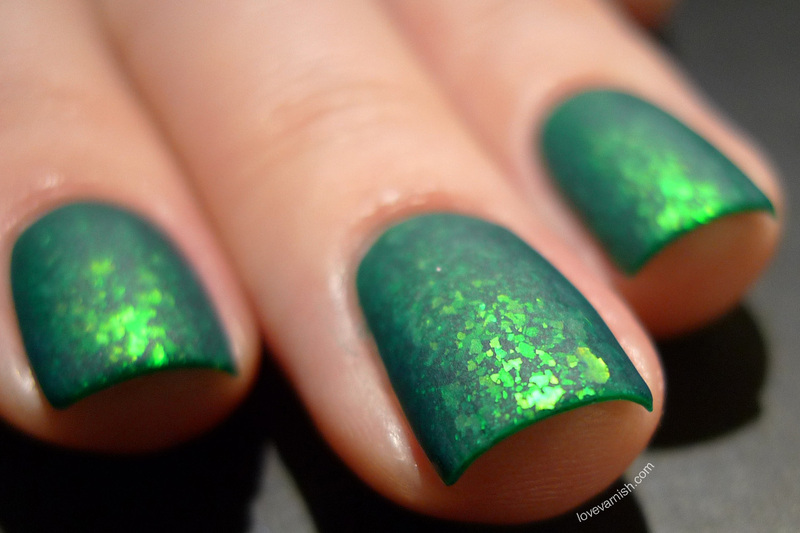 I layered this over Dance Legend Strutter, a gorgeous glowing green filled with chunky holo particles (1 coat used). This is 2 coats of Tinsel. Again, application was as easy as with Final Fantasy, and the combination with the sparkly base looked divine to me. First set of pictures is with a regular topcoat, mattified after that! Wow, can I say I absolutely LOVE them mattified? Flakies really come to live like that, and it's just so pretty to look at. What do you think of these? Tell me in the comments! Dance Legend is sold through their own webshop. Dance Legend Candy Flakes shades come in 15 ml. bottles and retail for $9. Shipping worldwide is $10 and free if you order over 10 bottles. wow The mattified version of both colors is gorgeous! I'm in love with these matte! I reaaally love the look of these matted! I can't buy these polishes where I live. Glad you like it doll! You're welcome! Glad you like it :). Yeah I read something about that! A few were exclusive to a drugstore? That's really sucky :(. Normally we are the ones in bad luck, as we don't get nearly all LE's you get..
:D glad you like 'em! :D go buy them ;-)! I am just crazy about what Dance Legend's been doing lately! Glad you like them Emily! It's SO much better in real life, I promise! Then this one is totally your cup of tea!